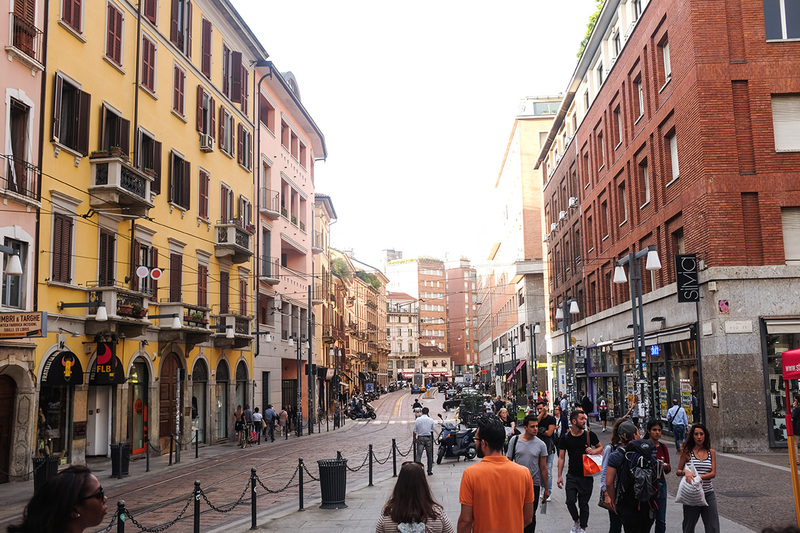 On this trip, we learned the Italian art of good living. I can happily say it’s been ingrained into our systems and we will be practicing the lifestyle back home. I was so excited to return back to Italy and enjoy a good bowl of pasta with a fine glass of local vino. 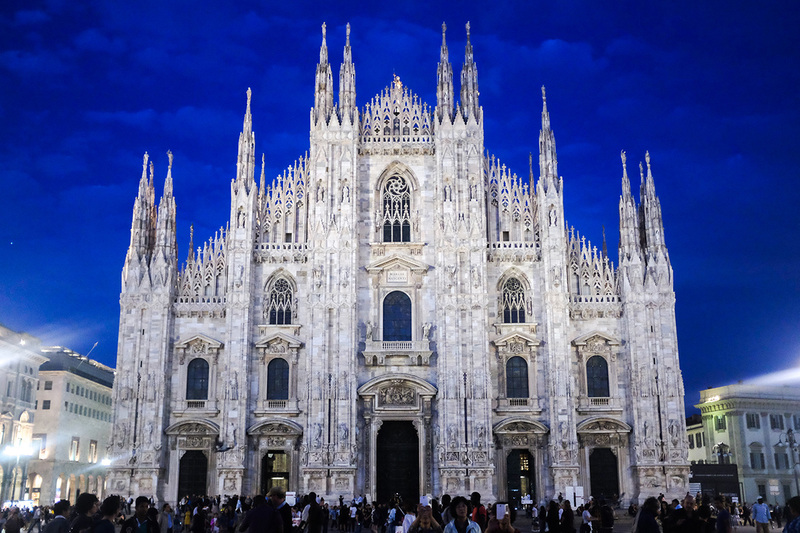 Duomo – You can’t miss this iconic landmark in Milan. Though I tried to capture its amazing beauty, photos just doesn’t do it any justice. This cathedral is something to be seen in person. It’s architecture and grandeur is just awe-inspiring. We walked to the piazza (plaza) and just stood there taking in the beauty until the sun started setting. 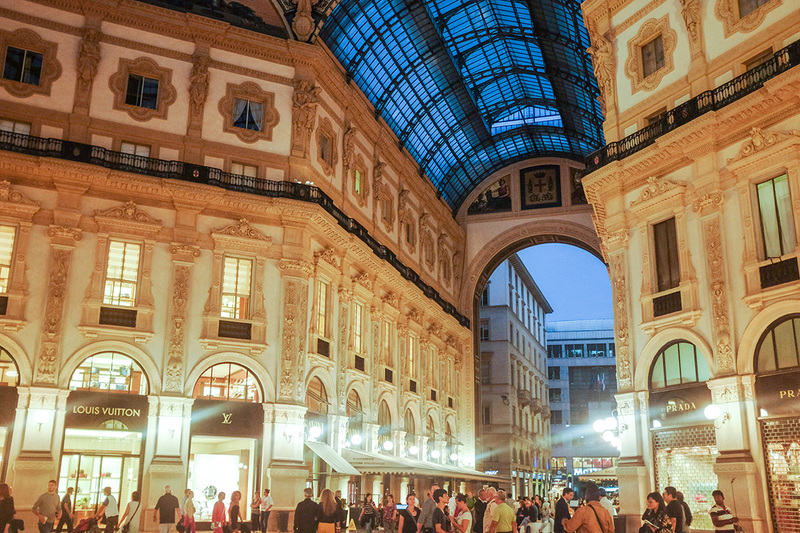 Galleria Vittorio Emanuele II – Right next to the cathedral’s plaza begins the most gorgeous shopping mall. It’s mostly filled with designer stores, restaurants and cafes, but a walk through the entire space is enough. Just remember to look up to take in the glass ceilings and artwork. 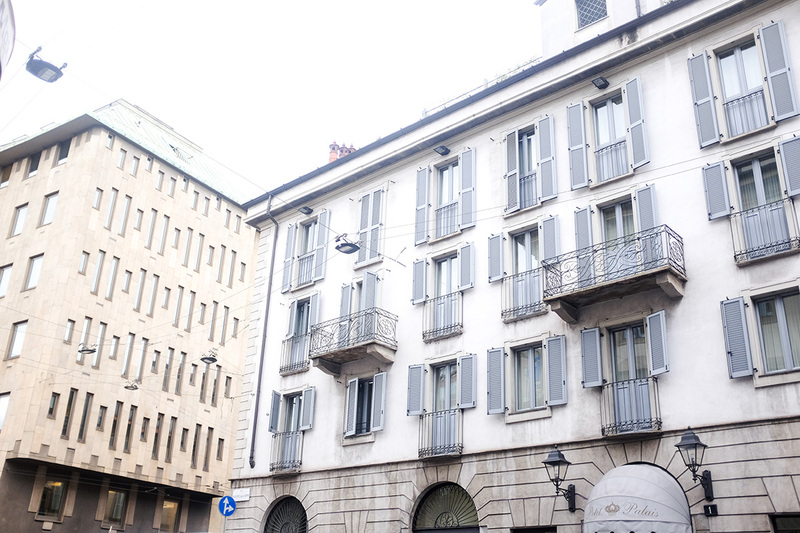 Corso Vittorio Emanuele II – Continuing on from the plaza and galleria, is the avenue of high street stores. This was a great walk to slowly shop and enjoy the city. Stores like H&M, Sephora and Mango can be found here. 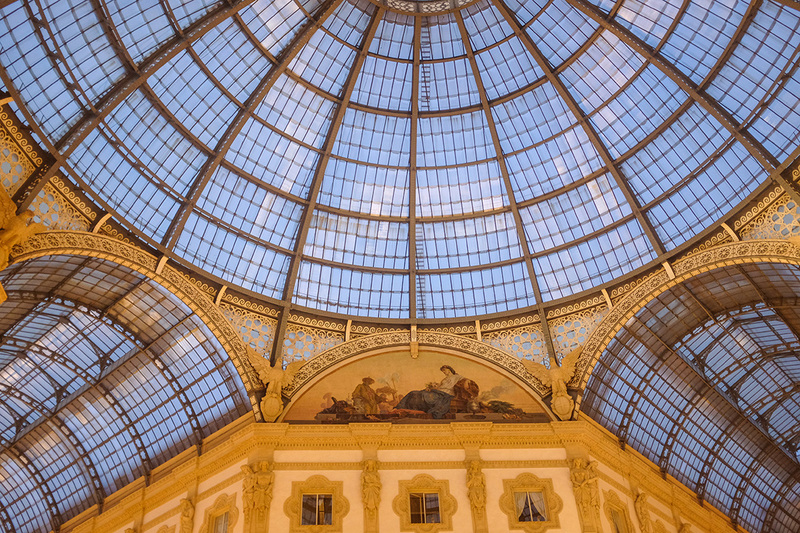 La Rinascente – If you love shopping as much as I do (even if it’s window shopping), head into one of the largest and most luxurious department store in Milan. Right next to the Duomo, it is central and such a delight. Head upstairs for great views over the plaza. As much as we can find back home, it’s always great to go see what other cities have to offer. Colonne di San Lorenzo – Roman columns. A great place to sit and bask in the atmosphere. If you happen to be a history buff, you’ll love being in the remnants of another time. 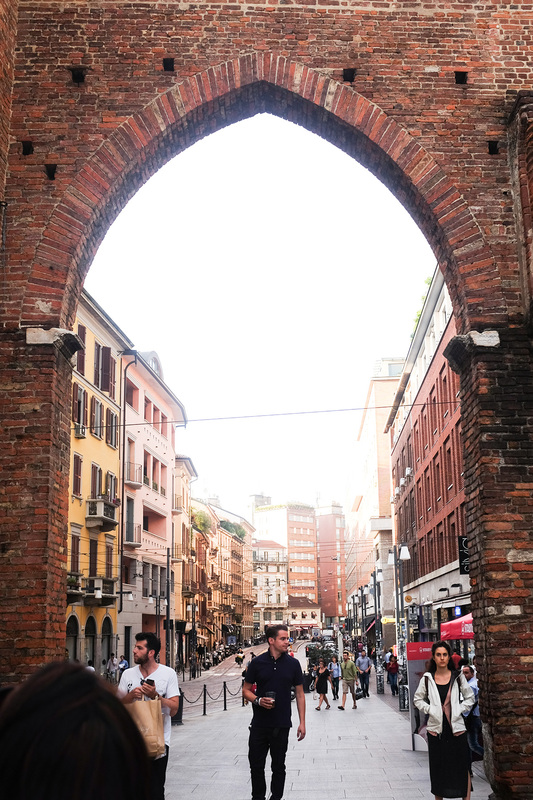 We found this gem while walking from the city center to the Navigli District. 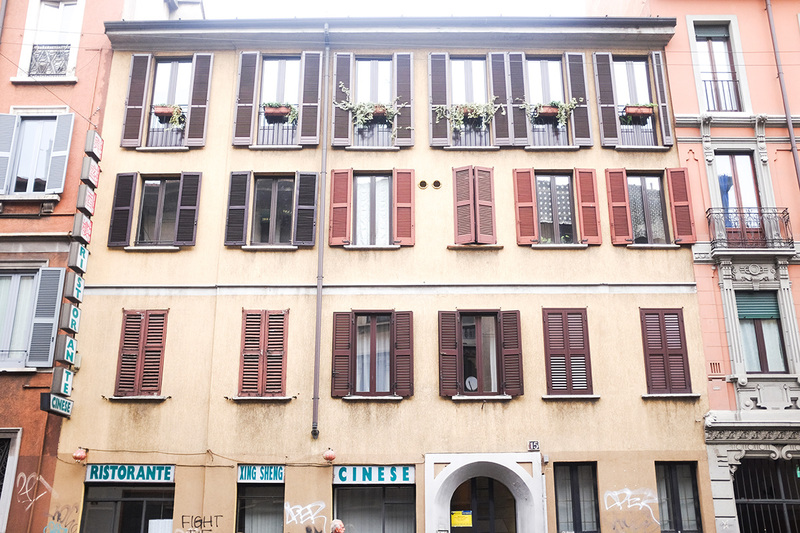 Navigli – Milan has it’s own set of scenic canals. In this neighborhood, the nightlife is vibrant. We came here for aperitivo (think happy hour). For local flavor, great drinks, food and vibes, this is where you go. 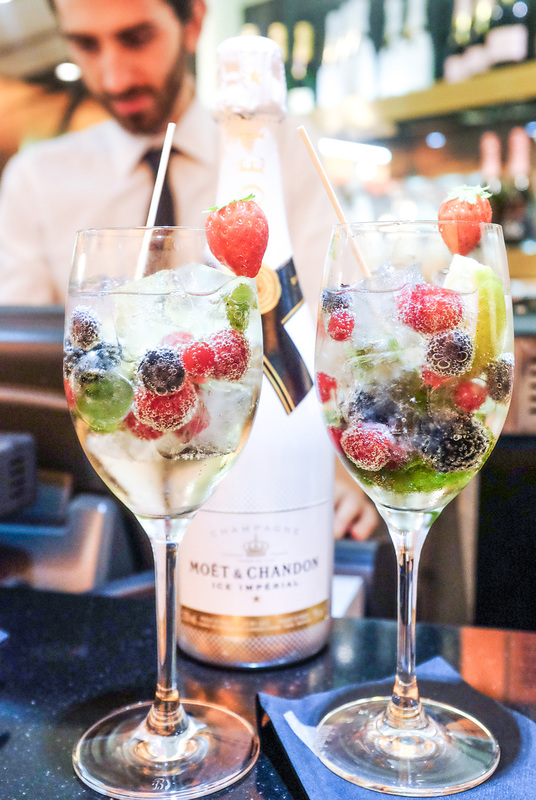 Moet & Chandon – Inside La Rinascente, Moet has a champagne bar on the top floor of the department store. We wanted to try the highly acclaimed bellini, and it did not disappoint! The bartenders were fun, and it was our first time having the Ice Imperial, the champagne served on ice. All lovers of bubbly, please drop by! 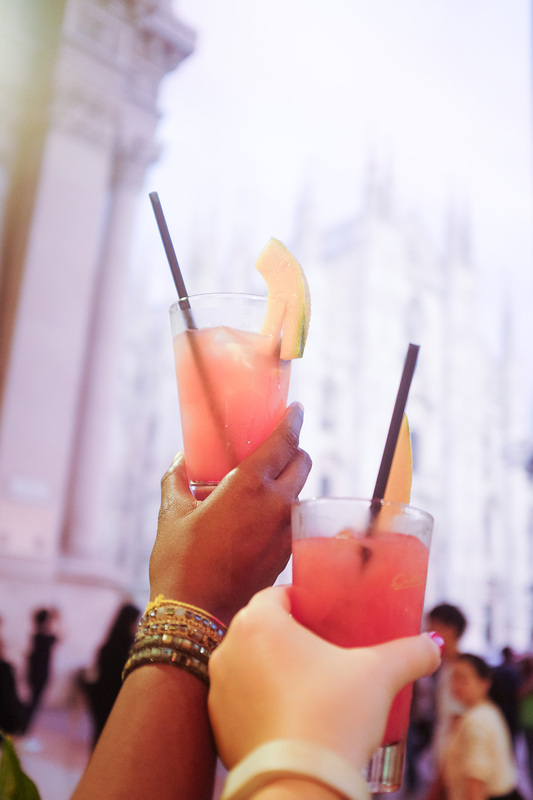 Camparino – Located within the Galleria’s walls, the iconic Campari bar has the perfect view of the Duomo. To start our Italian adventure, we had the famous Campari. I mean, where else do we have the first drink of the bitter than it’s home?! Luckily for us, there was an event happening that night, and the whole place was festive. We ordered the Campari Orange and started the night. Also recommended, the Negroni. 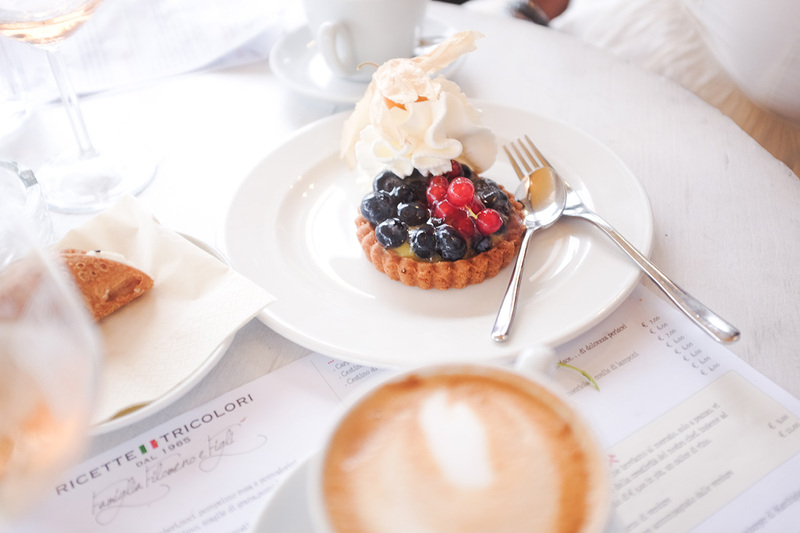 Ricette Tricolori – We stumbled onto this charming cafe in the Navigli District. 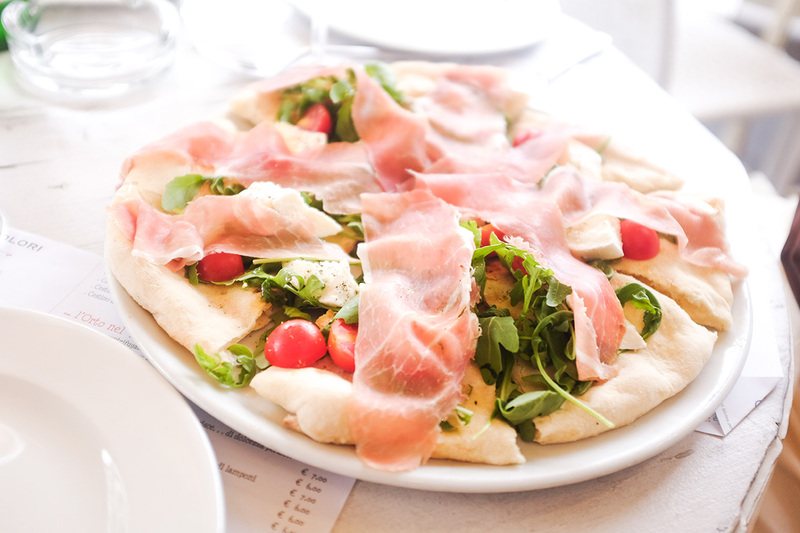 Starving, we sat down in the outdoor section and ordered up a bottle of rosé and focaccia pizza topped with my favorite ingredients. Known, for its baked goods, we ordered our dolci and just people watched. Uptown Palace – Centrally located without breaking the bank. The hotel is a modern and elegant reprieve from the busy city. The free breakfast was wonderful and they have free wifi (lobby only). I’ve had one of the best cappuccinos here! Everyone was courteous and the rooms were plush. Great beds, amenities and view. We didn’t stay long, since we were heading to Venice next, but it was everything we needed to fight jet lag. 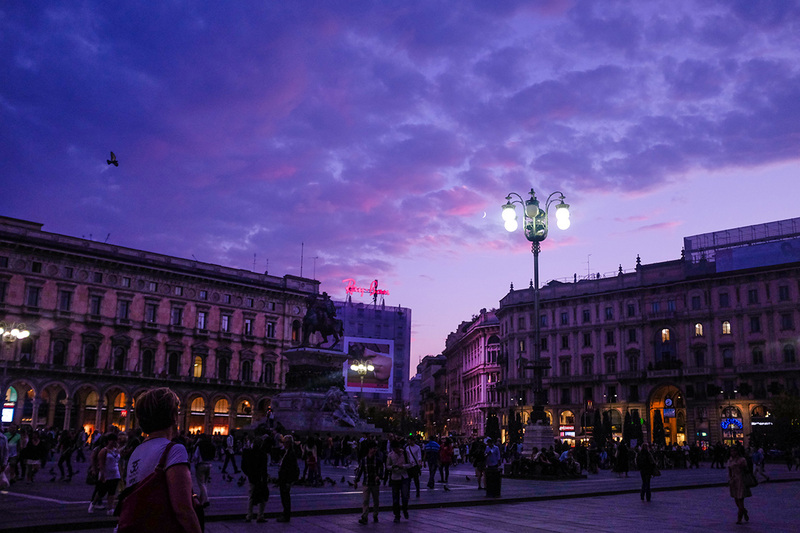 The Duomo and city highlights are just a walk away. Metropolitana di Milano – Being from NYC, I like to check out other cities’ subway systems. It was pretty easy to navigate and all the main tourist attractions can be reached by it. Though, I prefer walking the city, this is quite helpful when you are carrying too much or just tired from the day. We also took this from our hotel to Milano Centrale, the rail station. Rete tranviaria di Milano (Tram) – If you prefer your public transportation to be above ground, the tram is the way to go. Similar to the Metro, it will take you down the streets to your next destination. 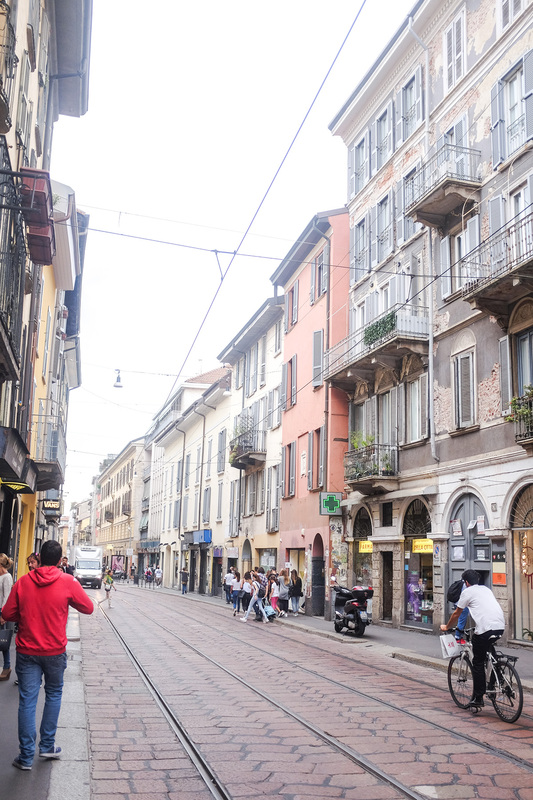 We bought tram tickets to ride for fun, but ended up walking the entire city. Hey, we’re New Yorkers, lol. Blacklane – When you need a little more control and comfort in your transportation. After our whole Euro trip, we hired a private driver c/o Blacklane from the rail station in Milan to the airport. 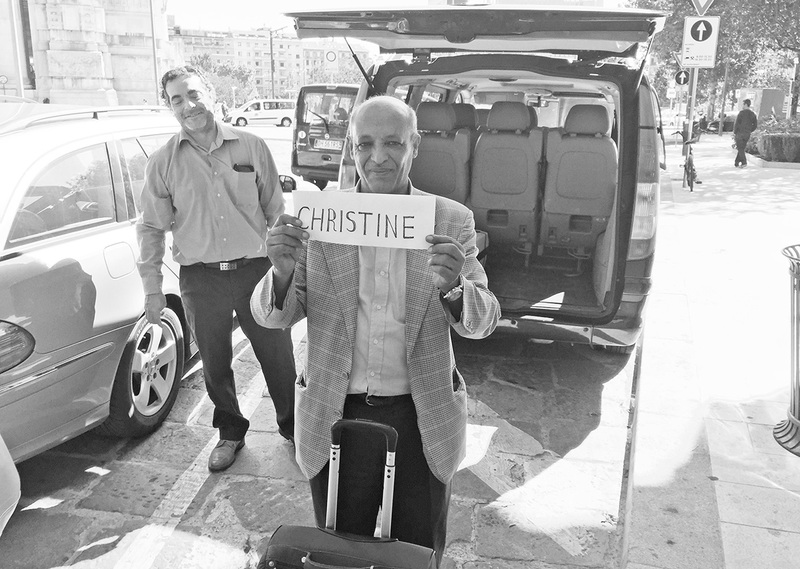 Our lovely driver was waiting for us right outside with a sign with my name on it. It’s the little things that count and make a trip special. We were on a timeline and wanted to make it to the airport with time to spare for shopping and food. Booking was super easy via their website, and communication was on point. We just had to arrive at the location and then we were whisked off to our destination. I love getting a text telling me when the driver has arrived. Traveling can be pain-free with the right people! Trenitalia – Italy’s rail transport system. When in Europe, travel by train is the easiest. We took the rail from the Malpensa airport to Milano city center as well as the high-speed train out of Milan to Venice first class, thanks to our Eurail pass. All other rails just need a kiosk fare. Just remember to validate your ticket! Plus, the best part of taking the rail? They come around with cappuccino and vino during the ride. Perfect.